Fatty comes home drunk and happy, as usual. He trips and falls on a woman sitting on a chair in the lobby and winds up getting into a fight with the concierge, which spills over into the bar, when Fatty winds up there on the floor. Things are starting to settle down when his wife (Katherine Griffith) shows up and throws her weight around even more than he did. Soon, he’s been dragged upstairs to their room. The wife tells him to get ready for bed and sleep it off, while she goes out shopping herself, taking the precaution of fixing the lock so it will lock behind Fatty if he goes out. Of course he does, in his nightrobe and pyjamas, and soon he finds the poker game across the hall. When he knocks, the gamblers disguise the room to look like a bible study meeting, which he finds very funny, but they invite him to join in. He draws four aces and a joker, winning the pot, but just at that moment the house detective (Glen Cavender) bursts in on a raid. 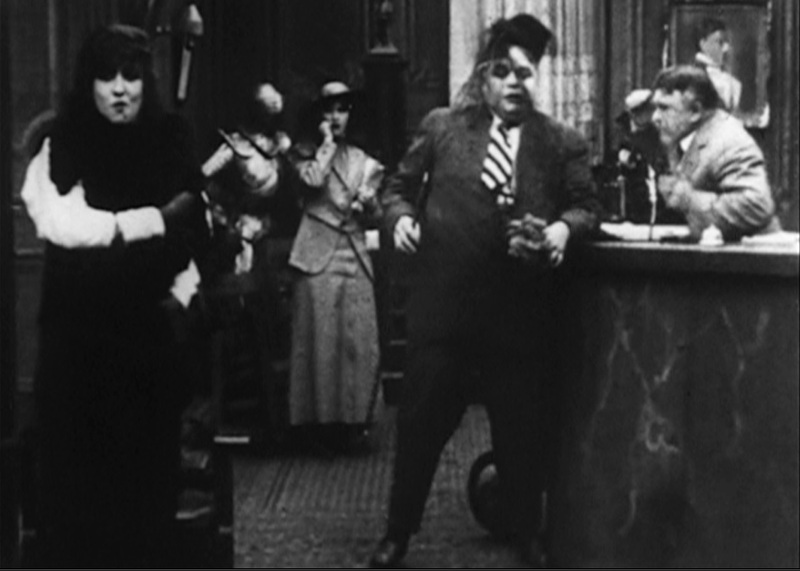 One of the gamblers knocks the gun from his hand and a brawl breaks out, each of the gamblers escaping in turn and leaving Fatty to fight the detective. The detective recovers his gun and Fatty makes a break for his room, which is, of course, locked. He takes several bullets to his rear end. It occurs to him to try the room next door, and he bursts in on Minta Durfee, who is quite shocked by his attire (he lost his robe in the fight, and is down to short-legged pyjamas. 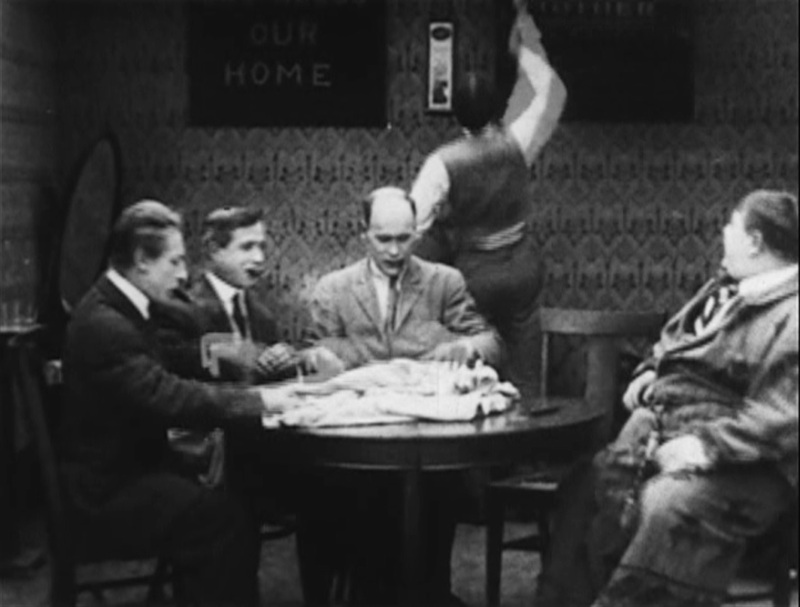 Then Minta’s husband (Edgar Kennedy) comes home. Fatty tries hiding in the Murphy bed, but the husband finds him. Meanwhile his wife has come home and convinced the house detective that Fatty is not in their room. When Fatty attempts to escape Edgar by pushing the bed back into the wall, it bangs on the wall of Katherine’s room. Then, he manages to crack the wall. 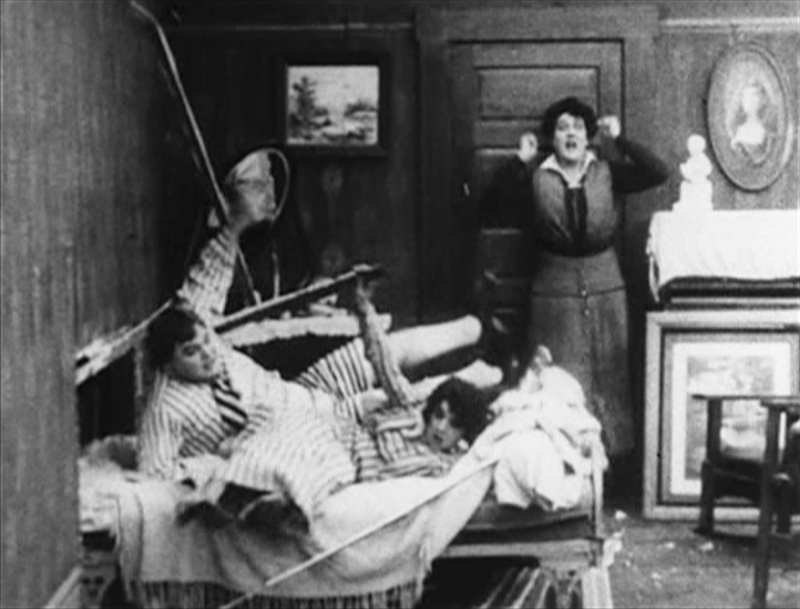 Finally, the bed breaks all the way through the wall and he’s in the room with his wife. Unfortunately, Minta was also on the bed at that point, and she now sees him in his pyjamas with another woman in bed! The house detective breaks in again, and finds Fatty, and the chase escalates to both rooms and the hallway, with guns and angry spouses in pursuit. Finally, Fatty’s wife pushes him into the bathtub, and he decides to take a quiet nap while everyone else continues the fighting. This short really ramps up the situational and slapstick comedy as it runs, and would probably have been seen as “vulgar” by the critics of the period, but no doubt was a crowd-pleaser. Fatty still gets away with his bad behavior in part because of his baby face and his refusal to initiate violence. Much of the trouble begins when he falls over due to being drunk, and he does play the “funny drunk” bit to the hilt. His performance is at the center of this movie, and it is his ability to make the audience identify with his plight, however ridiculous or self-initiated it may be, that carries the narrative. The title is of course a deliberate misdirection – Fatty gets blamed for having a reckless fling he never actually had or wanted. It always surprises me to see how agile Fatty A. was on screen. I always expect him to be the lumbering sort, but he’s astonishingly nimble. Thank you for the comment! Yes, he was really up there with the best of them physically, and had that charming baby face to boot. Ha ha! Yes, “charming baby face” is the perfect description.